Childhood obesity is becoming a grave issue in modern times. There’s a lot of blame on the parents of these children when it comes to obesity, eating disorders and body image problems. Obesity is a diagnosis with life-long health consequences which puts the kids at risk of serious conditions like type 2 diabetes, high blood pressure, and high cholesterol, bone and joint problems, symptoms of asthma, liver and gallbladder diseases. And while the kids are unaware of all the physical harm that they are putting themselves into, one thing that might be bothering them is getting shamed or bullied about being overweight which often leads to suffer from social isolation, depression, and lower self-esteem. Dr. Julie Lumeng, a professor of pediatrics at the University of Michigan says, ‘When you are the parent of an obese child, there is a tremendous stigma, everyone looks at the parent and thinks: That parent is incompetent. They don’t care about their child. Why can’t they just make the child eat less and exercise?’ While food is one the main reasons, certainly there’s some confusion and disagreement out there about what foods are healthy, even among experts. 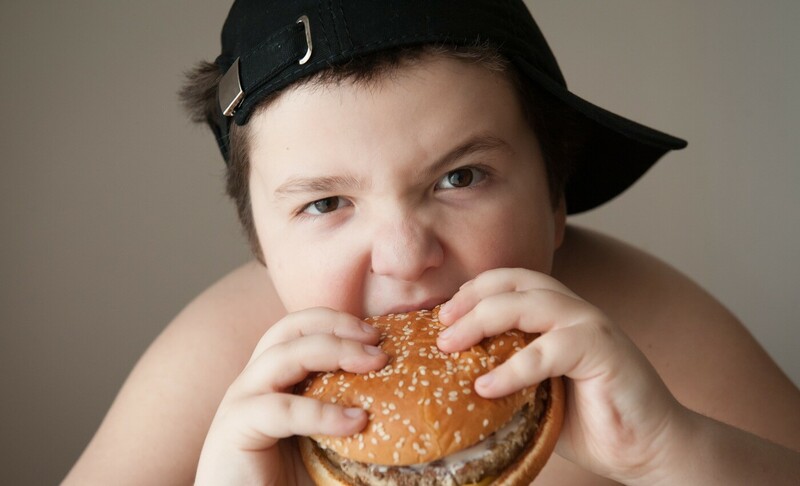 It’s not too late to stop yourself from hampering your child’s health and future, here are some of the tips you can follow and change the path that is leading/might lead your child to obesity. Chewing the food properly leads to the smooth and proper digestion of the food. Start by teaching him to count the number of times he chews before swallowing the food, and soon he will be in a habit of chewing the food properly and not rushing for more. Change the habit of eating while watching TV, as kids often get engrossed and tend to eat more and are unable to judge when they are full which might lead to stomach pains and improper digestion. Make them sit at the dining table and mind the food kept on the plate. The habit of drinking keeps them hydrated, full of energy, flushes out all the harmful toxins and also boosts the metabolism. Coconut water, sugarcane juices are some of the other fluids your kids will enjoy which will also keep them fuller for a long time. Enroll your kids for dance classes or any sports of their choice which will also help them in a long run. Make sure you let them do their daily chores at home like making their own bed, cleaning their room, arrange their books or folding their clothes; always keep them moving. Going to bed immediately after a full meal is very harmful to the digestion system as the functioning of the body slows down once the body is at rest. Also, children usually copy the adults thus, be a role model by eating well, exercising regularly, and building healthy habits into your own daily life. Limit the amount of junk and fast food that comes to your house, avoid spoiling them by taking them out for junk food every now and then instead make the nutritional home food interesting. Include fruits and vegetables in their diet that are packed with fiber, keep nuts and dry fruits stocked as snacks.